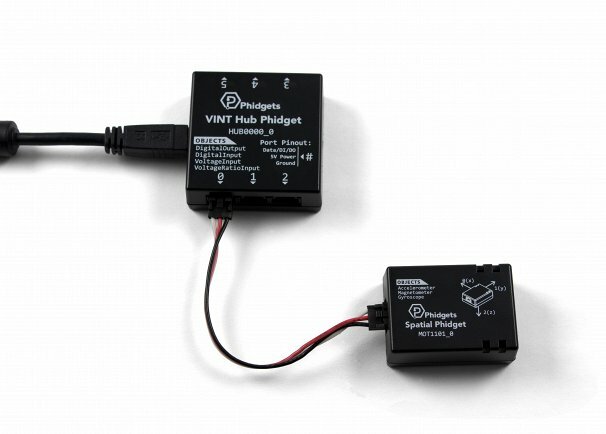 Combining a 3-axis accelerometer, 3-axis gyroscope, and 3-axis magnetometer, the Spatial Phidget is the all-in-one motion package for your VINT Hub. By analyzing data from these three devices, you can use the Spatial Phidget in a number of interesting ways. For example, you could use data from all three to track the movement and direction of a vehicle or robot. 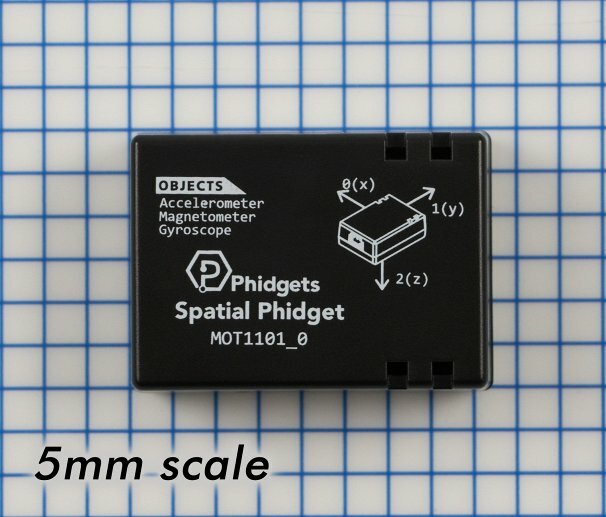 Or, you could use the accelerometer on a surface to measure nearby movement or vibration, or on a stationary object to measure tilt. 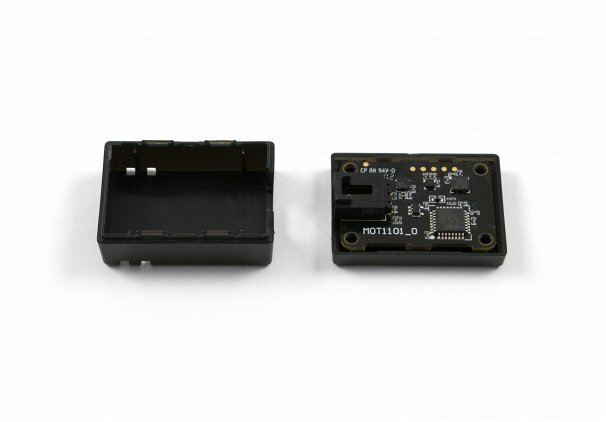 The MOT1101 connects to a port on a VINT Hub. See the Comaptible Products tab for a list of hubs. 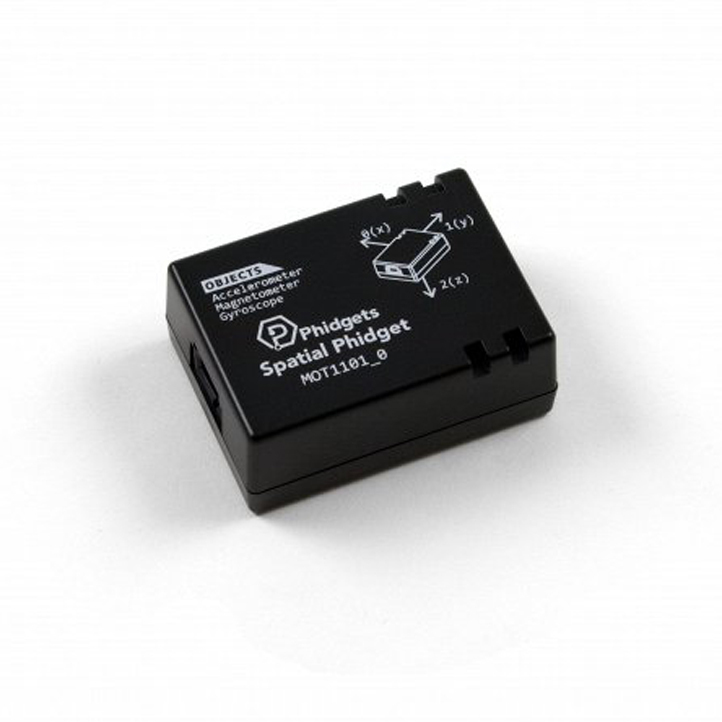 The Spatial Phidget is intended for applications where the amount and direction of movement are more important than the precise numbers. If you need an added degree of precision in your project, have a look at the Other Spatials tab for more appropriate options. * - Gyroscope resolution varies with angular rate. See the technical section of the User Guide for details. ** - Current consumption varies depending on selected data rate. See the technical section of the User Guide for details.